Let's start a new chapter with a new controller board. The issues I had with the older Arduino based technology were mainly steps per unit of time that could be send out by the processor, the configuration through recompiling and uploading the new program and some annoying things like SD cards not always recognised. 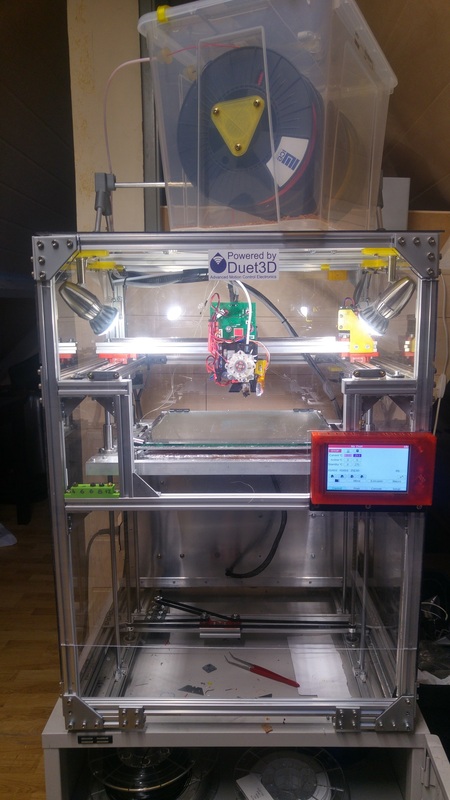 I did a step in between by installing a TFT32 which offers an extra USB-connection and has a quite good menu-structure to work with. Disadvantage is that it shares the communications port with the PC : in case you want to modify Marlin, you'll have to disconnect the TFT. I started thinking about a faster controller unit already a long time ago -in fact a couple of weeks after finishing the build- and decided to go for the Duet as it offers on the go configuration changes (no more recompile...) even changing current setting for a stepperdriver can be done on the fly. Everything is done with G-codes. 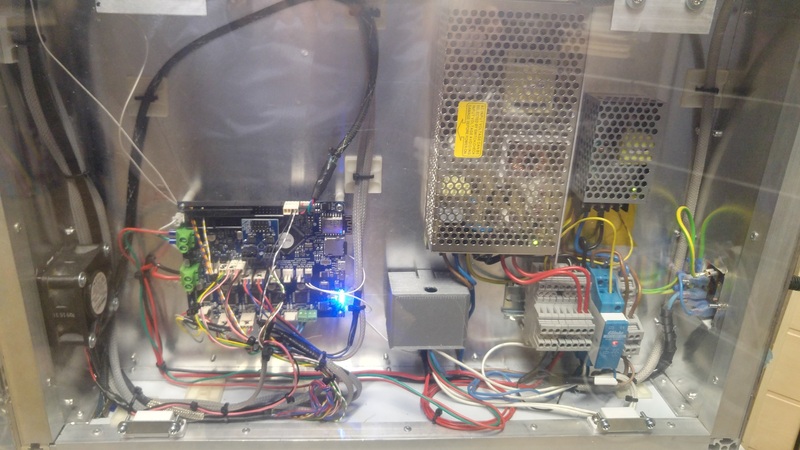 Fast processor : no limits in steprates. Integrated high end stepper drivers. Integrated web server and by consequence connected to your local network. A number of expansionboards available : dual PT100 board, expansionboard for another 2 or 5 steppers and other stuff. I decided to go for a Duetwifi (as you can guess : wifi connection) and not for the ethernet version with cable. I also went for the PT100-board and a Paneldue as controlpanel. The package comes complete with all necessary Molex connectors and a bunch of pins. Yes you will have to rewire some of the connectors. One could plug the steppers in using the original connectors, but I decided to replace them by the Molex ones . As said before I used the molex connectors for al connections. identical wiring just plug in and it's ready to go. 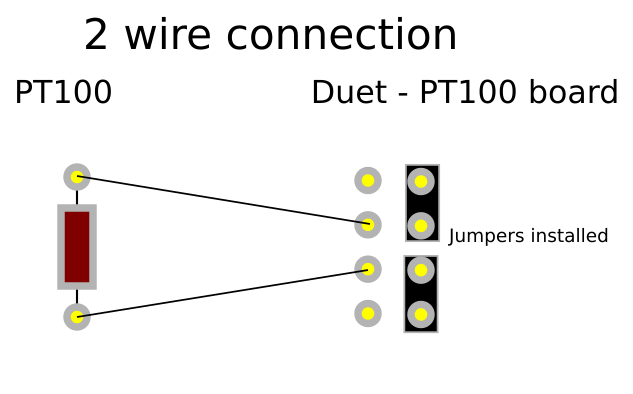 PT100: Where most of the PT100 boards use 2 wire connections, one can choose on this adapter board whether to usea 2 or 4 pin connection. I used the 4-pin one as it is more accurate. I decided to use heater 3 as channel to send the servo pulse to the BLtouch (pin8 on the expansion connector), but one can use any other heater channel (up to heater 7). The configuration I will post later on, is based on this. Here are the connection details. See also the board picture. Since I use another cable for the connections from printhead to board, colors are not the same. I have an older one and soldered a 240 Ohms resistance between the black and the white wire to reduce the 5V signal to 3,3V. 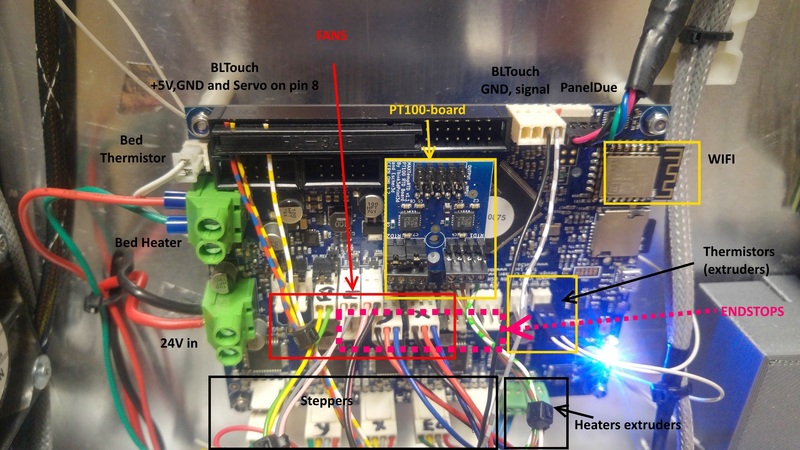 I used FAN0 as partcooler fan, FAN1 is standard a thermostatic controlled heater fan and FAN2 I use as thermostatic controlled FAN for the electronics. This fan uses the temperature of the CPU and stepperdrivers as input. FAN1 uses the hot end temperature. The electronics enclosure. It is an aluminum box (not that good for wifi) but the backpanel is made of clear polycarbonate. Instead of a paneldue one could use an old tablet and work with the webinterface as well. It is very fast and responsive and offers full functionality. Saves a bunch of money that could be used for an expansionboard like the DUEX5. Nice writeup. It looks like a great controller. I looked at the Duet a bit when first starting my 3d printer kit investigation, and zeroing in on the FT5. I knew I wanted a more capable controller, but was trying to keep the cost reasonable and went with the MKS SBASE and Smoothieware. In my opinion, it's the best value for the $. I like the SBASE and Smoothie. However, I do think the Duet is a more capable solution. It just appears the Smoothie community is not as active. That said, Smoothieware does have most of the same features, including 32bit processor and very convenient configuration. Good luck with the Duet! 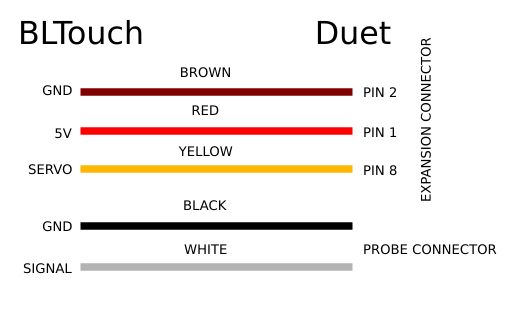 A bit about the configuration and to give you an impression on how it is done on a Duet. 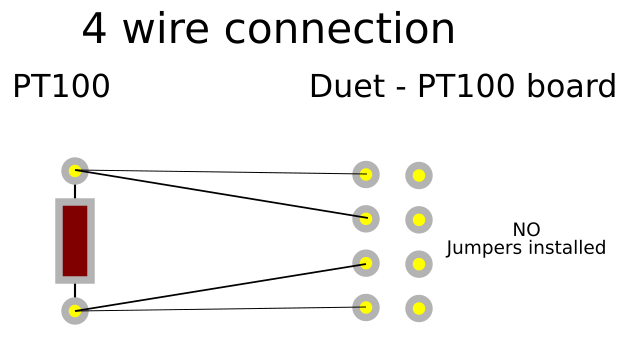 For those installing a Duetwifi, this may be usefull as an example configuration. main configuration sits on the SD-card in the SYS-directory. Can be written directly on the SD-card for an initial setup. Later on it can be edited through the DWC (web interface). G1 Z10 F200 				; Lower bed. One can define a lot of macro's for a whole lot of functions. Some are linked with changing tools. If you start using another extruder : what should the controller do before and after switching. One could also define macro's linked with input events. (mis)using an endstop port as a digital input and acting upon a signal change can be defined in a specific macro linked with that port. where were you last year when i needed you? Some major modifications coming up. DUEX5 laying around, doing nothing but waiting for the last parts arriving to start. Me too. Not laying around, not doing nothing but eagerly waiting to start.